The Rochester Labor Council’s annual meeting is the 1st weekend in May—Our Local’s Delegates will be at the NY State Convention in Schenectady, but if any members want to g,o it is free—you do need to register (see below). It is in Corning, NY this year. As mentioned at the Meeting last Thursday, there is an App that lets you easily give input to your Congressmen and Senators… And the App lets you know what the position is of NARFE (National Active and Retired Federal Employees). Check it out. strongly urge you to download the app and follow the prompts. their own applications as of yet. 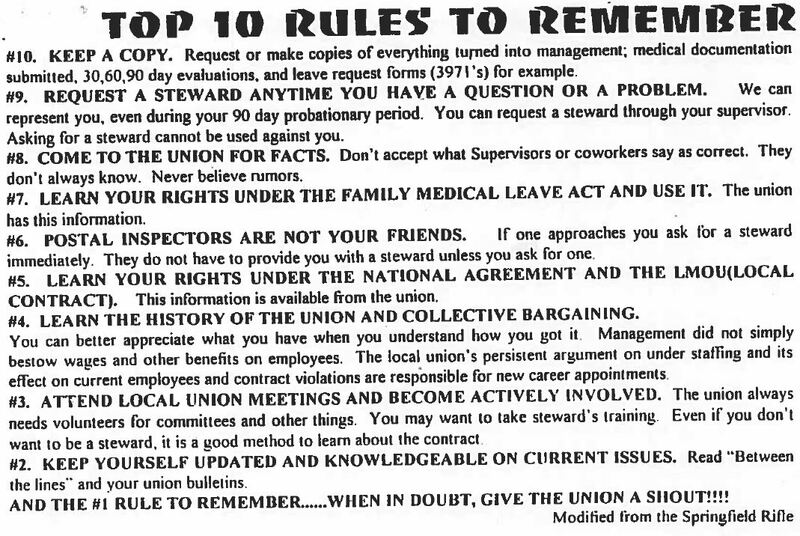 I should have posted this earlier; we have a Union Meeting tonight, as we do every third Thursday of every month except July, August and December. Hope to see you there. Posted in Uncategorized	| Comments Off on Union Meeting Tonight!!! Mark your calendar! APWU is hosting another LIVE Tele-Town Hall on April 23! Learn how you can get involved in the fight for a good contract! The National Negotiations Committee will also update participants on preparations for the upcoming contract negotiations. Where: We will call you! You can register to join the call here. When you sign up, you will also be able to submit your suggestions for the negotiations and for the campaign. 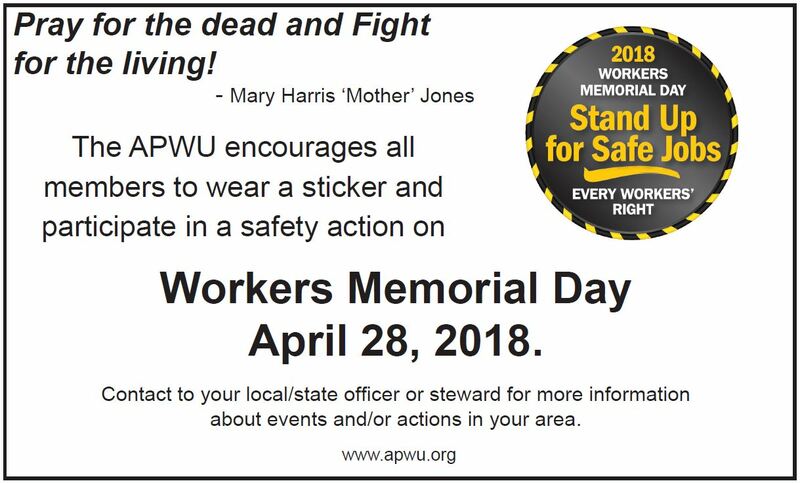 We need everyone Fighting Today for a Better Tomorrow if we’re going to win improved working conditions and a better standard of living for APWU members and families. Click here to join the call. 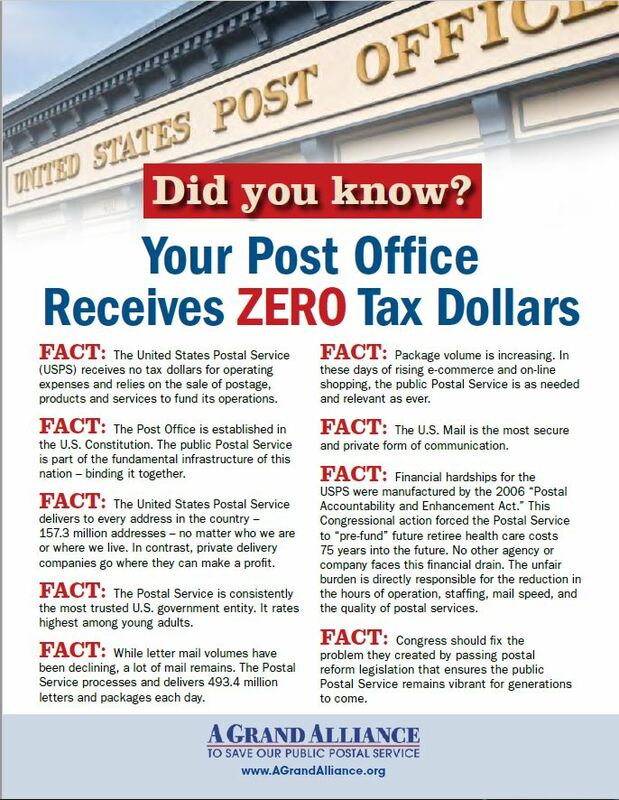 Posted in Uncategorized	| Comments Off on Tax Day is April 17th! !